Thomas Cook Airlines is connecting travelers to the U.K. with ease. The airline offers low-cost flight options to travelers heading to Europe, with Manchester as its hub of operations. Currently, the airline connects travelers in New York, Los Angeles, Orlando, Boston, Seattle and San Francisco to Manchester and London. With partners such as JetBlue, EasyJet, Air Europa, WestJet, Alaska Airlines and more as well as sister airlines Condor Airlines, Thomas Cook Airlines Scandinavia and Thomas Cool Airlines Balearics, its network of connectivity expands even further throughout Europe—offering low-cost options around the continent and beyond. Thomas Cook’s fleet is made up of 94 aircraft, including Airbus A321-200, Airbus A330-200, Boeing 757-300 and Boeing 767-300 planes. Travelers can expect typical economy-class service onboard. Long-haul economy service includes an item of hand baggage and one bag weighing 20 kilograms. A standard meal and in-flight entertainment are also included. Seat reservations, premium entertainment, alcoholic beverages, lounge access and more can all be accessed or acquired for a fee. Economy Plus bundles some of these services into the fare, including priority boarding and security lane access, an increased luggage allowance, seat reservations, complimentary drinks, a premium meal and more. These upgrades are available on short- and medium-haul flights with Thomas Cook and it offers as much as a 30 percent savings on the fare when adding up all of the fees. Those flying long-haul and looking to upgrade their in-flight experience can select premium class, which includes, baggage, a premium meal, alcoholic beverages, seat reservations, premium entertainment, extra legroom, adjustable headrests, leg rests, USB ports, in-flight amenity kits and more. 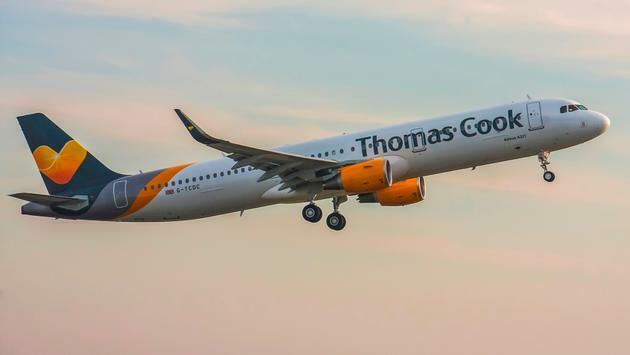 As Thomas Cook flies more frequent routes to North America, the airline has added new service to Jamaica and more service to Seattle, Orlando and Cancun for 2019. The airline has also added TSA Pre-Check access to its U.S. passengers.